Religious liberty, code for discrimination? : The president "wants to make sure that you don't penalize someone for wanting to express their faith." Spicer stated that executive orders on religious liberty are not in the works right now. Treasury is not easing sanctions against Russia: But it is "a regular course of action" that the Treasury does quite often when sanctions are imposed. Iran on notice: General Flynn was "really clear" yesterday that Iran has violated the joint resolution, "We're not going to sit by and take it." 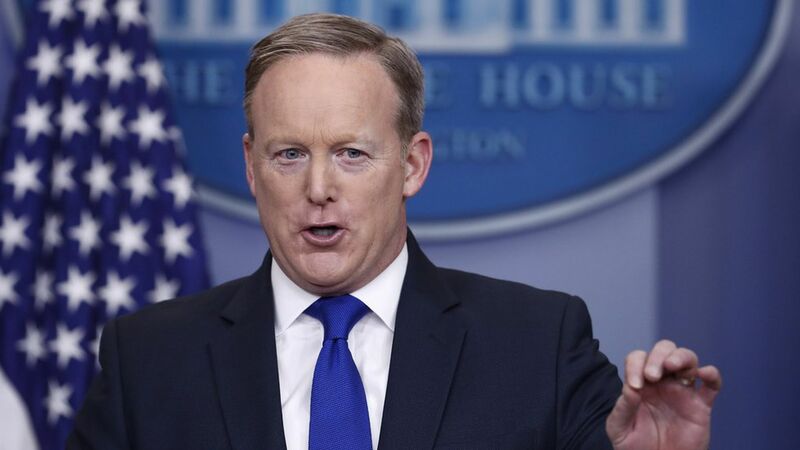 Leaks on Yemen strike: Spicer said the initial plan was approved under the Obama administration: "This was a very, very well thought out and executed effort." He also reiterated his belief that it was a "successful operation" made difficult by the loss of Navy Seal Ryan Owens. National Prayer Breakfast: As for Trump's comments on "praying" for Arnold Schwarzenegger's performance on The Apprentice: "He meant it as a lighthearted moment because Mark Burnett was there...I think you have to look at the totality of his remarks which were beautiful," said Spicer.